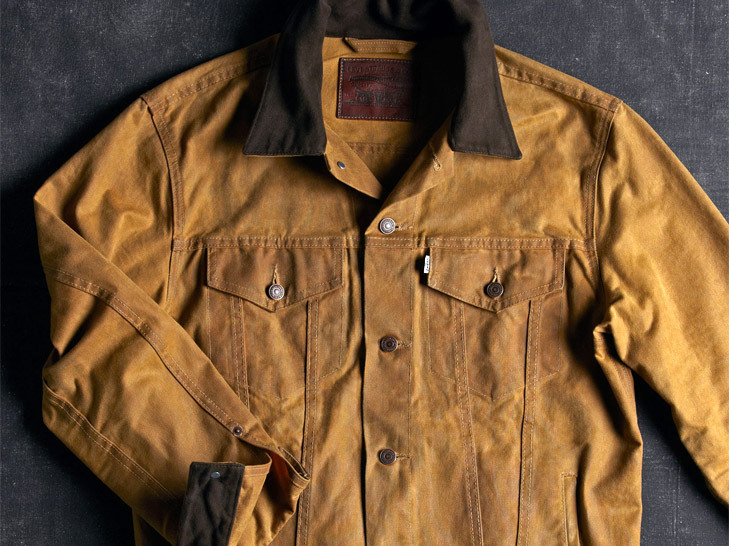 Levi’s, Filson Collaborate on Heritage Workwear Made in the U.S.A. In 2010, Levi's teamed up with the outerwear experts at Filson to create a collection of heritage goods that captured the best of both brands, each of which goes back well over 100 years. We're happy to announce that these legendary companies have teamed up again this fall to release an expanded collection of hardworking wares that are exquisitely tailored, built to last, and exclusively made in the U.S.A. Their 2011 collaboration pairs classic cuts with uncompromising, rugged fabrics like waxed tin cloth, hardy twill, bridle leather, and rigid denim—steadfast materials that are sure to weather the test of time and only look better with age. 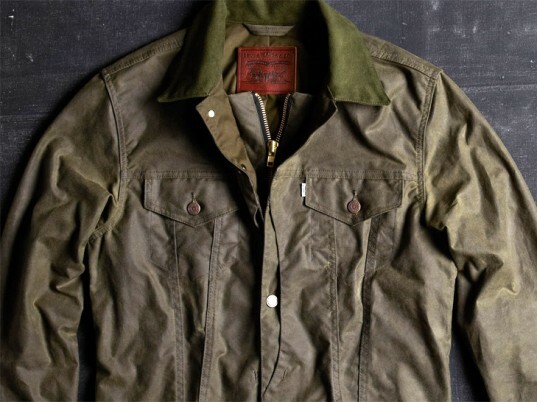 All of the pieces are made by Filson in Seattle, Washington, and come with a lifetime guarantee. The rigid trucker is joined this year by an olive oilskin trucker hunting jacket, which swaps the former’s button closure for a subtle zipper enclosed by a wind flap. Also new this year is a denim hunting vest, which offers a more urbane take on Filson’s classic workwear staple. An unwaxed tin-cloth 505 trouser and a sturdy sawtooth Western shirt round out the collection—both are made of heavy cuts of 100 percent cotton duck that feel practically indestructible. All of the pieces are made by Filson in Seattle, Washington, and come with a lifetime guarantee. Levi's, Filson Collaborate on Heritage Workwear Made in the U.S.A.
505 Straight Tin Cloth Pants ($150).